In this article, I am going to share with you an amazing Udemy $10 coupon – a discount code that you can use at checkout in order to amazing discounts on ALL courses available on Udemy. We have some great news for those of you who were planning to start some online courses on Udemy: there’s a hot promo running right now on the website, where all the courses are available for just $10 if you use the coupon code that we’re providing below. This special offer goes for both existing users, as well as those who sign up today, so make sure you take advantage of this amazing Udemy $10 coupon offer because it won’t last for long! Actually, this coupon is only available between April 24 – April 29, 2017 6:00AM PST so don’t let it slip! The steps are extremely important: make sure that you log in first, add the courses and afterwards type in the coupon code at check-out. There are thousands of updated and amazing courses available for those who are looking to get better or improve their skills, but if you need some help in choosing the winners, we have some suggestions for you. We’ve published in the past two articles suggesting great Udemy courses for everybody: the absolute best courses on the platform in 2017, as well as our recommended courses for those looking to manage stress. There are, of course, a ton of other areas that you can navigate through and choose amazing courses from. If you’re unsure what to pick, simply go to the Top Rated page on Udemy and choose the courses you want to apply the $10 coupon on. – From Goal to Success: Life Coach Certification – another job that can prove extremely successful and with little competition nowadays. 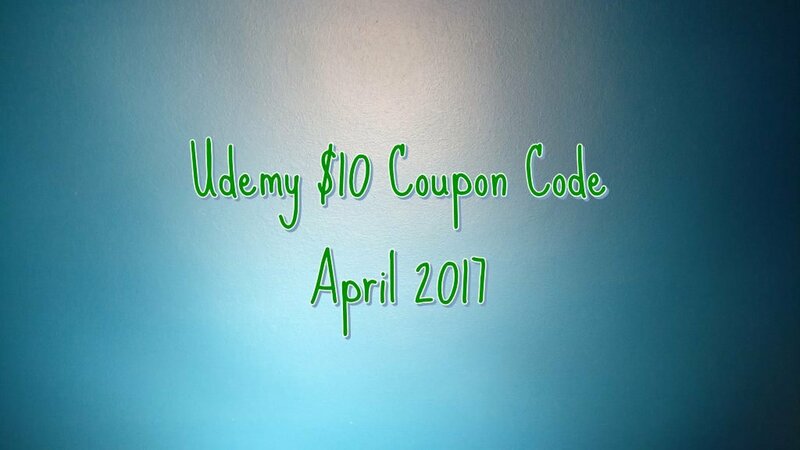 Don’t forget to use the Udemy $10 coupon code before it expires! The offer is only valid until April 29, 6:00AM PST and it would be a big shame to let it slip!